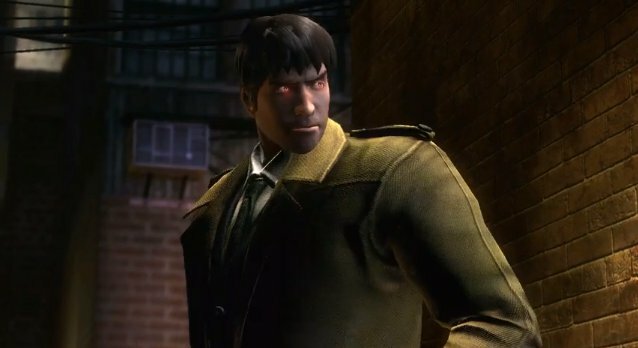 Injustice: Gods Among Us will be receiving two pieces of DLC that were highly requested by fans. 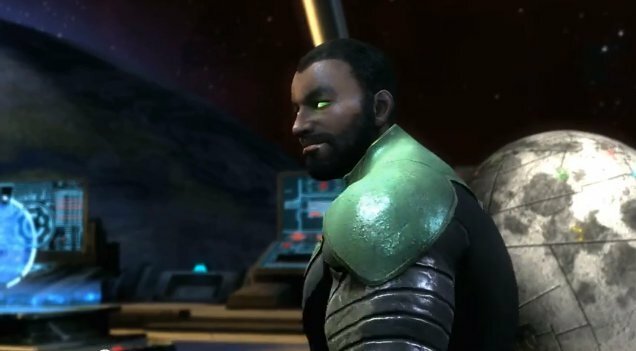 Martian Manhunter will be added as a playable character, as will the Green Lantern John Stewart. Martian Manhunter (also known as J'onn J'onzz) is an alien from Mars with a range of supernatural powers. Like Superman, he possesses extreme strength and durability as well as the ability to fly. His abilities also include telepathy, invisibility and shape-shifting. You can see why he'd be a powerful character; the guy's practically a god. 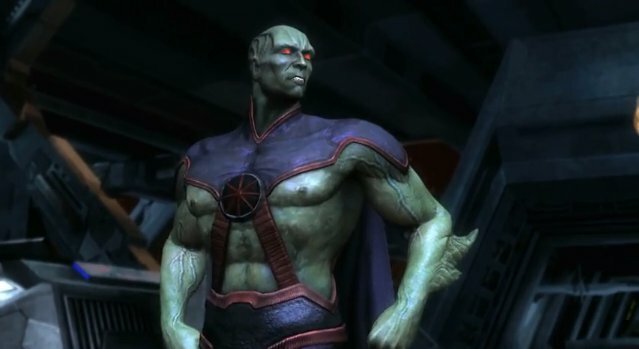 NetherRealm Studios showed off the first in-game footage of J'onzz at EVO 2013. His main methods of attack are energy blasts and his shape-shifting fists. He uses teleportation and flight to quickly traverse the map. For his ultimate, he teleports his opponent to Mars. Then, he grows to an incredible size and crushes his opponent with two boulders. 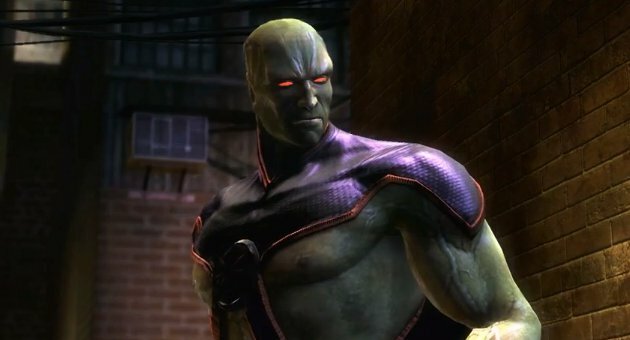 Considering he's one of the main members of the Justice League of America, it's no surprise that NetherRealm would add J'onzz to the game's roster. I'm surprised it took this long, though. Manhunter will be the fifth DLC character for Injustice's roster, following Lobo, Batgirl, Scorpion and General Zod. I'd argue that he's a more significant character than all of them. 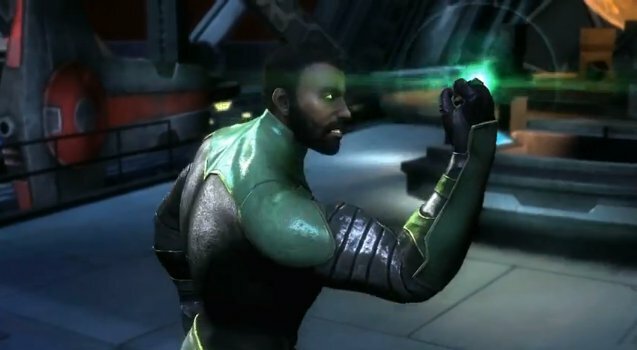 The other upcoming DLC for the game, John Stewart, isn't a full-fledged character. Instead, he's merely a skin for the Green Lantern. That makes sense, considering he's a fellow Corps member with the same abilities as Hal Jordan. 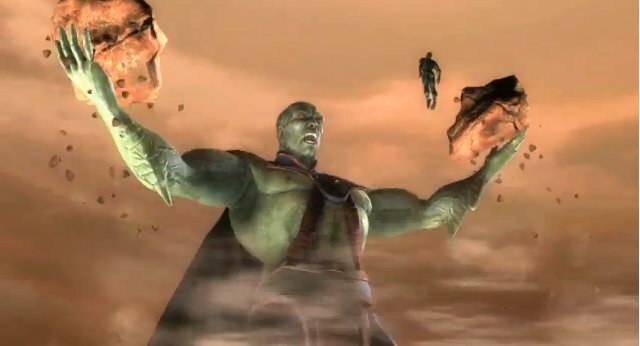 I'd rather NetherRealm put their effort into creating a character with a more individualized skillset like J'onzz rather than creating a different character with pretty much the same powers. 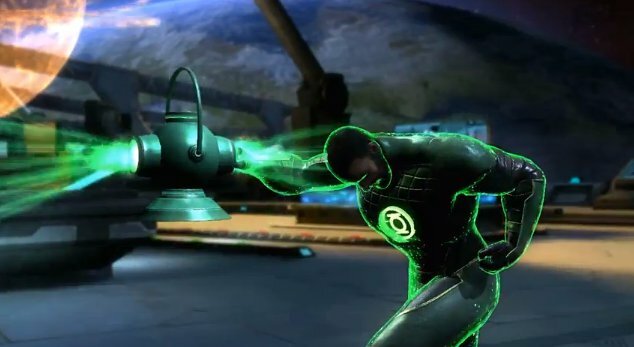 According to Shoryuken, the Stewart skin will be accompanied by new voiceover so he feels like a new character rather than just Hal Jordan with a different face. Stewart and Martian Manhunter make for a solid combo. It's unfortunate, though, that gamers will have to shell out additional money for them. The Season Pass for the game only included the first four DLC characters. That's the risk you run with buying Season Passes, though; you don't have control over what add-ons are included. The price of Stewart and J'onzz wasn't mentioned but it's likely $5 like the other DLC fighter packs.